We were so glad to see some familiar faces at our second free vaccine clinic in Maplewood this past weekend - many (28) with pets that have since been altered. Maplewood’s Health Officer Robert Roe stopped by to show his gratitude for us coming to support our Animal Control town as always. In all, 43 pets visited our mobile clinic with 32 furring friends having their first vet checkup and 34 receiving distemper and rabies shots. Special thanks to Karen Negrin from TLC Pet Doctor for helping at this event. 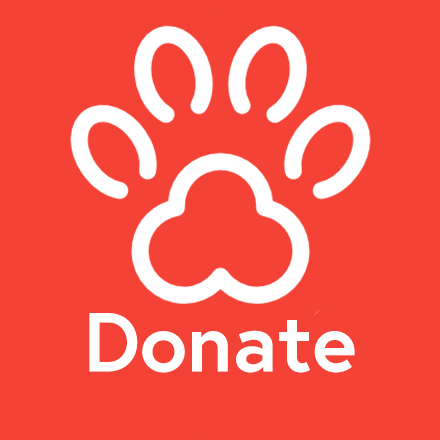 We appreciate your hard work and love for the animals! 150 pets stopped by our second free Trenton vaccine clinic on Saturday, September 23rd with nearly all receiving distemper and rabies shots. Several pets were microchipped (26) and others (42) set up spay appointments with Animal Alliance for a future date. We had Annie Trinkle on board again with a volunteer vet tech, and Dr. Donna Alfieri by her side giving vaccines. That we could also offer a vet checkup from Dr. Adam Christman and his vet tech Beth, both from Brick Town Veterinary Hospital, to 82 pets who had never seen a doc before is awesome! In partnership with Animal Alliance in Lambertville, NJ, St. Hubert’s Animal Welfare Center offered the first of two free vaccine clinics to 209 Trenton area pets this past weekend. For 67.2% of the animals this was the first time they had ever seen a veterinarian. Animal Alliance director Annie Trinkle and vet Dr. Kimberly Weisner DVM, worked sided-by-side with volunteer retired vet Dr. Robert Harris to handle the larger-than-usual number of participants. Jose Munoz from Trenton Humane Law Enforcement and Trenton Health Officer James Brownlee were on hand to support this huge effort. 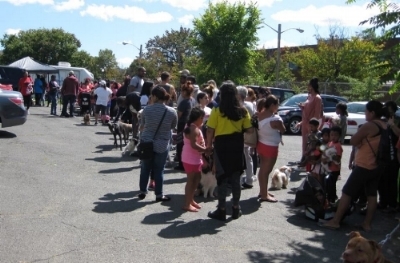 The Trenton pets received free leashes, collars, tags, and dog food as well as information about the importance of the spay and neuter program. As a result, 61 spay/neuter surgeries were booked at the Animal Alliance location which will provide the no-cost surgeries at its Somerset County clinic.